Hope everyone played some Panthers in their lines like I suggested. Last week’s game was indeed the second highest scoring game behind the Rams/Saints, and we get a chance at another shootout for a special Thursday night game at Pittsburgh. We’ll also be looking at a different type of DFS format: Single game. Here, you are only picking players from this game, regardless of position. Want to play Big Ben and Cam together? As long as you’re willing to dig deep to complete your line, you can. You pick a “captain”, who’s points count for 1.5 instead of the normal scoring. This has all the makings of a great game, so let’s jump in! Cam Newton ($9,600 DraftKings, $16,500 FanDuel): First thing you’ll notice is that the prices for the top-tier players will be sky high. On both sites you only have five slots to fill, so that’s why Cam is the most expensive player on FanDuel for this slate (5th on DraftKings). 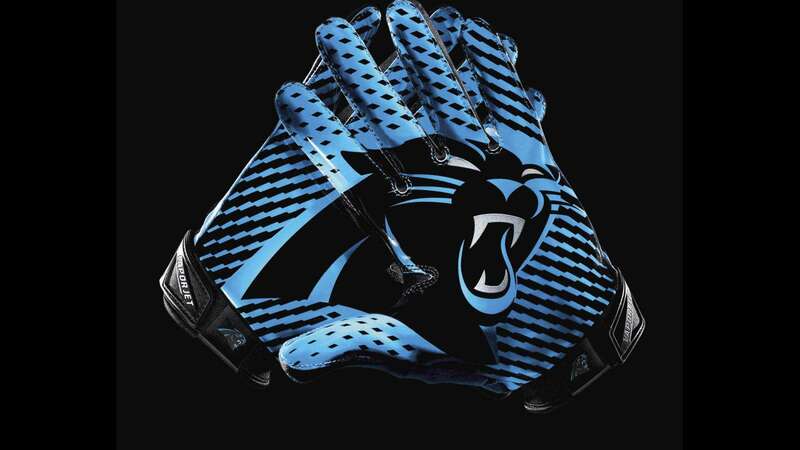 Cam should continue to do work against a Steelers D giving up nearly 280 yards a game through the air. Last week’s numbers don’t tell the complete story, as the majority of the second half aside from one drive was about killing clock. I don’t think Cam will have that luxury this week, which equals having to make plays from start to finish. This means he’s absolutely in play, and if you think about it, the captain spot is sort of like an MVP spot. When it’s put that way, he is well worth it. Christian McCaffrey ($11,400 DraftKings, $14,500 FanDuel): Finally, some red zone touches! McCaffrey far exceeded my expectations last week, getting nearly equal yards rushing and receiving (79 and 78, respectfully) and getting 2 TD’s on the ground. We won’t get these kind of numbers every week, but it looks like CMC justifies his high DFS price. This week he faces a Steelers D that has been stingy to running backs. However, we know how dangerous he is receiving. I don’t think he’ll have a performance quite like last week, but his trend of getting in the end zone should continue, and I do prefer him over Conner. Wide Receiver: As we’ve seen all year, Norv Turner isn’t afraid to get his receivers involved in other ways beyond receptions. It looked like DJ Moore ($5,800 DraftKings, $8,000 FanDuel) was going to be the solid #2 option, but last week was more about Curtis Samuel ($4,400 DraftKings, $7,500 FanDuel) and his versatility, getting into the end zone twice including a 33 yard TD run. I’ve heard comparisons of this team to the one in 2015. I actually think with time this team can be better. Greg Olsen ($6,400 DraftKings, $11,500 FanDuel) looks back to form being Cam’s security blanket, which actually takes away a few targets from Devin Funchess ($7,000 DraftKings, $10,500 FanDuel). These are all good problems to have for the Panthers, but makes it difficult to know who will be the breakout player beyond CMC, Olsen and Funchess. As I mentioned in the section covering Cam, this Steelers D gives up a ton of passing yardage, and unless something abnormal happens, they should be giving up plenty more Thursday night. Defense/Special Teams: On paper, the Panthers D is actually 27th in the league. While I think this is a better defense than the numbers dictate, this is not a good week for me to make that argument. Between Big Ben, AB, Conner, Smith-Schuster, and the underrated TE’s Jesse James and Vance McDonald, any team would have their hands full. The only argument to be made that this could be a low scoring game is that these teams are vaguely familiar with each other, playing each other nearly every preseason. I’m not going to buy that narrative, these are two elite offenses against two defenses not on the top of their game. Simply put, I would only play a defense in this game if you are trying to be contrarian. Projections: 24-31 points, 2-4 sacks, 1-2 TO’s. I have a good feeling this will be another game where we have to put up 30+ points to win. In a lot of ways these teams are mirror images of each other, so it’ll be fun to watch. If playing this game for DFS, I wouldn’t try to get cute and I would stick to either Cam, AB, or CMC as my captain plays. The only bad thing with this game is having to stay up and go to work Friday morning. Good luck with your fantasy and DFS teams and as always, Keep Pounding! Have any questions? Check us out on DFSXperts.com, where we offer a spreadsheet with position rankings, value plays and Vegas lines. Find us on Facebook, DFS Xperts and follow us on Twitter @RealDFSXperts or my personal handle, @DFSXKennyB. Listen to me on Saturday mornings on The Rundown with Desmond Johnson, where we are on across the triad also streaming. Come and join us!